Dreams can be very interesting to analyze and recall, but there are people who may exclaim, "Why don't I dream?" Numerous studies have claimed that everyone dreams but there are those that may not recall their dreams. Here is a closer look into why some may think they do not dream and how they can possibly start remember their dreams. 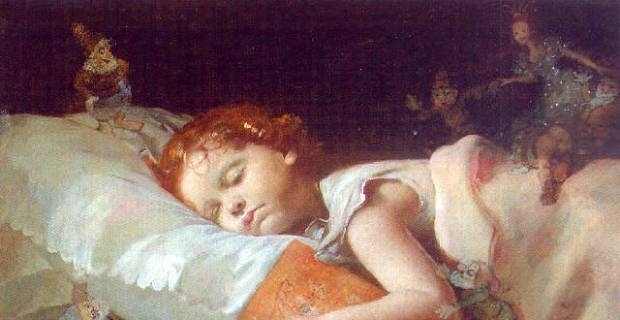 Dreams commonly happen during the REM, rapid eye movement, phase of sleep. During REM there is increased brain activity, accelerated respiration, and more intense dreams. While everyone experiences REM sleep, not everyone claims to experience dreaming. We supposedly have numerous dreams throughout the night, but whether or not you remember them will depend on if you wake up during or directly after having the dream. If you do, this will increase the chances that you will remember it. Those that sleep through it either will not remember the dream or will have a very vague memory of it. There is no clear answer as to why some people can recall their dreams others have more difficulty. There has been research though that claims those that are high dream recallers have a much more active temporo-parietal junction in their brain. This may then help encode the dreams into their memories. If you feel like you are missing out and want to start remembering your dreams, here are a few tips. Before you fall asleep at night, tell yourself that you want to remember your dreams. Have a pen and paper near your bed and when you wake up throughout the night, jot down any memories of the dream that you have. As you write them down, more of your dream may come back to you. At first you may not remember anything, or only small bits and pieces, but more will come with time and practice. For those that are really interested in dreaming and having more control over the dreams, research lucid dreaming and experiment with that. It teaches you how to have more control over your dreams. So before rushing off and asking other "Why don't I dream more?" try these tips out and see if they help you. This may take some time and may throw off your nights of solid sleep, but it does make for an interesting read the next day. Before you know it you will be dreaming and analyzing their meaning!